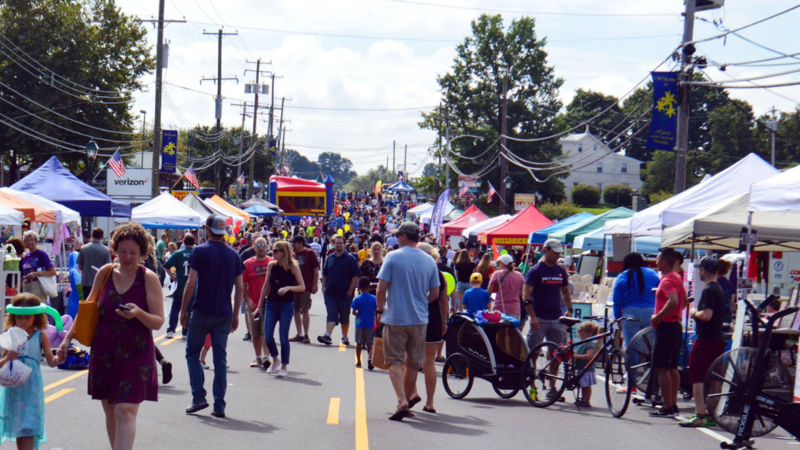 Lower Gwynedd Township welcomes back the fourth annual Pike Fest on Saturday, September 14th, 2019 from 10am – 4pm on Bethlehem Pike in Spring House, PA. Close to 5000 people attended last year’s Fest and a larger crowd is anticipated for this year’s celebration. Pike Fest showcases and celebrates the Lower Gwynedd Community and the businesses on Bethlehem Pike, many of which will offer Pike Fest specials and other goodies to entice eventgoers. The event features performances by the School of Rock, demonstrations by The Wissahickon High School Marching Band, WHS Robotics Team, Action Karate, and New Dance Workshop. Local artisans, free amusements for the kids, food trucks and a DJ will guarantee something for everyone. New to this year’s Pike Fest is a Classic Car Display, free to all attendees. The event kicks off at 8 am with the Born to Run 5K through the trails of Lower Gwynedd. Both Adults ($15) and Children ($10) can participate, with proceeds benefiting the Pike Beautification Committee. A new, trail-only course this year will make for a unique event. For vendor updates, artisan and sponsorship applications, visit the Lower Gwynedd Township website for a full listing of sponsors, vendors and artisans. Bethlehem Pike in downtown Spring House will be closed to vehicle traffic from 7am – 5pm. Please expect delays and detours on surrounding roads. Bikes and dogs are welcome at the event.